PIERRE CONSTANT LACOMBE has become one of the most renowned architects and urban planners in the South Pacific (particularly in New Caledonia and French Polynesia) after his studies in Paris. 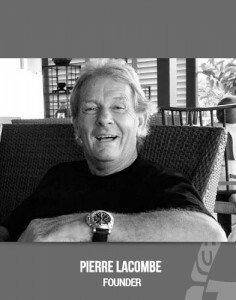 Pierre practices for over 30 years and is widely recognized for the adequacy of his architectural philosophy with the exceptional natural conditions of French Polynesia, with an endless source of pure beauty and dreams. TROPICAL ARCHITECTURE specializes not only in comprehensive architectural design of luxury hotels and resorts (St Regis in Bora Bora – Bora Bora Nui), but also competent in the design of residential hotels, private luxury villas, and government buildings (Presidency). Tropical Architecture team consists of about 20 architects, interior designers, drawers, planners, and management staff. Pierre Lacombe provides comprehensive planning, design, production and site monitoring services from his main office in Tahiti. He collaborates with experts in other fields such as engineering and environment. Tropical Architecture can provide drawings and information to clients using a variety of formats including AutoCAD and others based on demand, with an ftp site. The team also uses the software and hardware of the latest graphic studies to cooperate with the more specialized consultants worldwide. Pierre LACOMBE, himself, gives impulsion to his team: each member has similar feeling for the exceptional environment of French Polynesia, each with different backgrounds but all united by a single unique architectural philosophy, created by Pierre. Experienced senior staffs with young architects, work together, immersed in the beauty of natural elements and traditional materials of the South Pacific, and combined with a contemporary approach. The strength of these creative talents associated with the typical architectural charisma of Pierre and his tremendous passion produce an efficient, dynamic, and creative team deploying an extraordinary ability to capture the customer’s expectations into architectural masterpieces. For Pierre Lacombe and his team, every effort is guided by a strong commitment to provide the highest level of service with a touch of simple beauty and luxury. Copyright © 2014-17. TROPICAL ARCHITECTURE.